One of the most historically significant houses in San Diego, the Whaley House is also known as one of the most haunted places in America. Its rich past is also a torrid one, including the suicide of Violet Whaley from a second floor balcony and the hanging of Yankee Jim Robinson, which took place before the house was constructed. 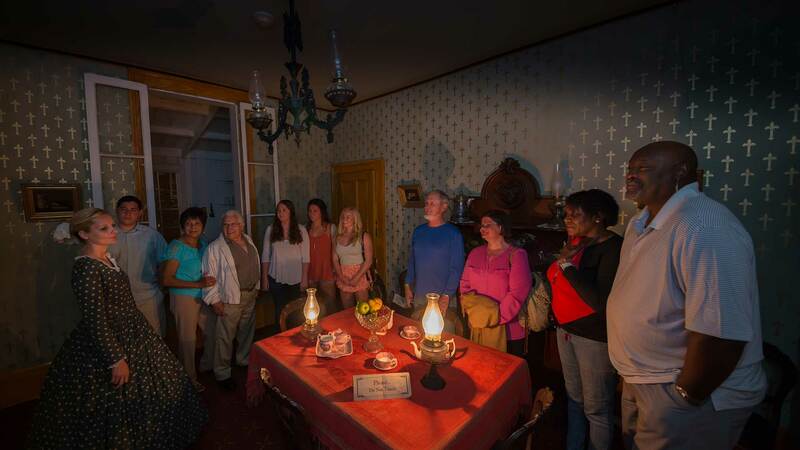 Visitors to the Whaley House consistently report strange sounds, sights and inexplicable events – so much so that many paranormal experts have investigated, including Travel Channel’s America’s Most Haunted. From heavy footsteps and disembodied voices to the apparition of Thomas Whaley and his wife Anna, visitors report being spooked, intrigued and even a bit frightened while touring the house. Other ghosts have been seen as well; and because the house was home to many residents over the years after the Whaley family moved out, nobody knows for sure who they are. But one thing remains constant: The eerie presence of those who have left the world of the living but refuse to leave the Whaley House. Just a few footsteps away from the Whaley House, El Campo Santo Cemetery is also known for its haunted occurrences. 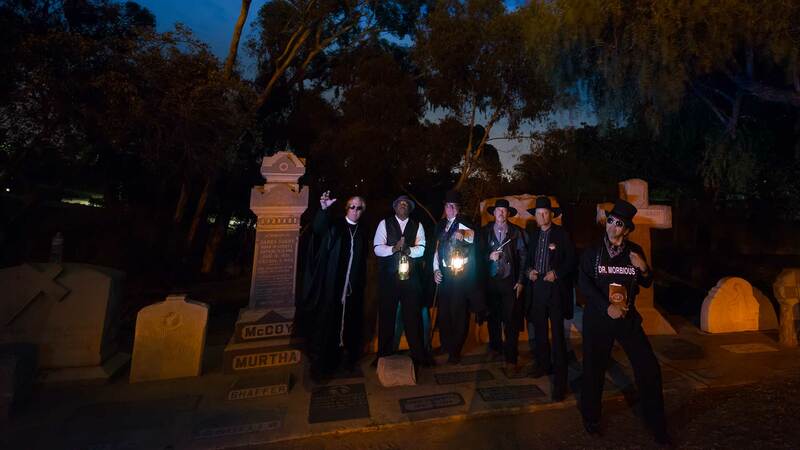 Established in 1849, this Roman Catholic cemetery was originally the burial ground for more than 450 people, including Yankee Jim Robinson, who was hung on the grounds of the Whaley House years before it was built. The trouble here started when the city built a horse-drawn carriage line and later paved over part of the cemetery to make way for car travel. At least 18 graves are known to be under the street and sidewalk, leaving those buried below very unhappy. People who visit the area and park their cars along the street have reported having trouble starting their cars and having their alarms go off for no reason. Those who walk the grounds of this historic cemetery have also had mysterious experiences: An icy chill coming over them, glowing figures, a floating image of a native American, a specter that appears to be dressed in period clothing and a woman in a Victorian gown, just to name a few. 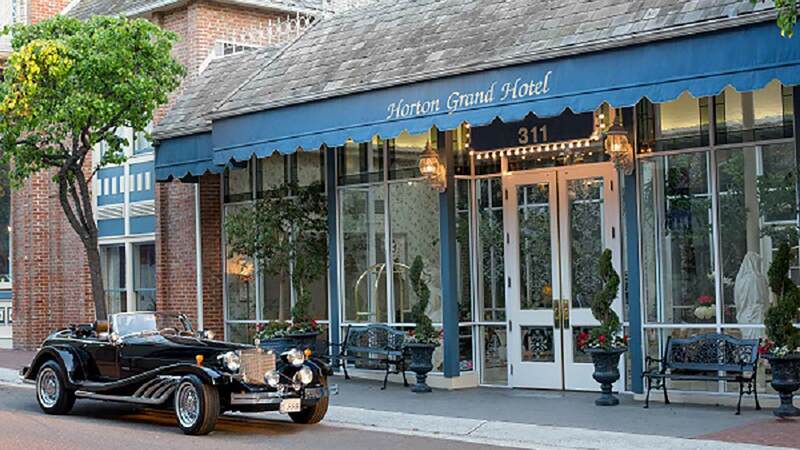 The Horton Grand Hotel was once two separate buildings, the Grand Horton and the Brooklyn Hotel. In the 1970s, the city of San Diego bought both buildings for $2 and dismantled them brick by brick, only to rebuild into one expansive hotel, the Horton Grand. Throughout its past, many strange and inexplicable events have occurred and continue to intrigue guests as well as paranormal enthusiasts. One of the most reoccurring reports of ghostly sightings centers around room #309. Guests who’ve stayed there say that the bed shook, the lights flickered, items were moved and that the doors of the armoire opened and closed on their own. There’s little doubt to those who know the building’s history that the spirit within room #309 is that of Roger Whittaker, a gambler that got indebted to the wrong folks and sought refuge in the room only to be shot to death inside the armoire. Cold chills, glowing orbs and footsteps belonging to no one in sight have also been reported. Some even say they’ve felt a hand touching them. Another spirit that seems to linger here is that of Ida Bailey who was the Madame of a brothel that once occupied the spot where the Horton Grand was built. Ida’s popularity is confirmed by the fact that the restaurant within the hotel is named after her. The Stanley Hotel is a Colonial Revival hotel located in Estes Park, Colorado near Rocky Mountain National Park. It has been labeled by many as the most haunted place in America. This hotel, inspired by Stephen King’s “The Shining”, has been haunted long before it has been written about. There have been several apparitions and weird happenings reported throughout The Stanley Hotel such as loud, crying voices and footsteps in the hallways. Hotel staff and visitors have reported tugging on their clothing when nobody was around. Freelan Stanley and his wife have been seen many times dressed in formal clothing on the main staircase and hallways. The ghost of a small child is also well known to the hotel staff, as he calls out to his nanny on the second floor. Like something out of a Stephen King novel, Robert The Doll haunts visitors to the East Martello Fort in Key West on a daily basis. His unusual story is scary, as he was once the favorite childhood toy of a local boy, Robert Eugene Otto, who went by the name of Gene. When Gene received this handmade doll, all seemed normal until one day his parents heard a disturbance in their son’s bedroom. When they heard Gene screaming, they ran to his door, only to find it locked and to hear the boy screaming for help. When they finally got the door open, they saw that their son’s room was in total disarray, furniture was knocked over, items were strewn all over the place and poor Gene was shivering with fear. His only words were “Robert did it.” Over the years, Gene would say those words a lot when strange things happened or things were inexplicably broken. As an adult, Gene kept Robert even after he married, to the dismay of his wife who insisted the creepy doll be put in the attic. 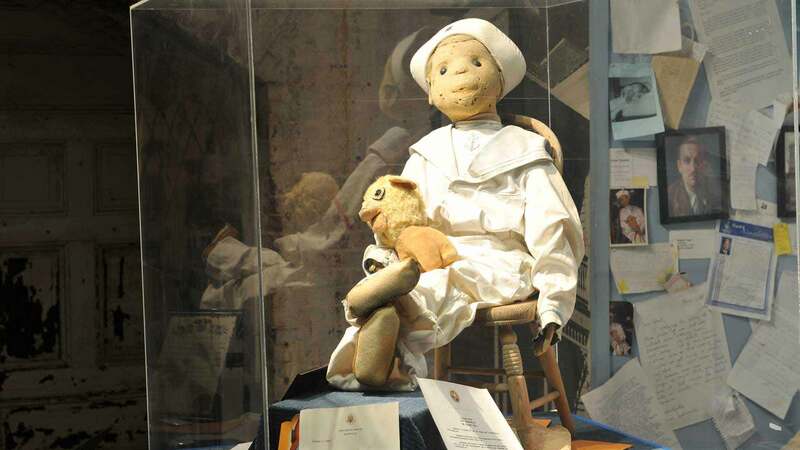 Yet even this isolation did not dissuade Robert from spooking people; people on the sidewalk below their home would report seeing the doll sitting in the window of an upstairs room – not the attic. Many times over the years, Robert seemed to move around the house and when the Otto home was eventually sold, the new owner donated the doll. Reports say that it moved from one room to another on a regular basis. Today, you can see Robert the Doll at the East Martello Fort in Key West. He resides inside a glass display case; although this does not stop him from behaving badly. Many report camera malfunctions when trying to take a photo of him, workers state that he changes his position and lights and electronics and cameras all seem to cease working correctly in his presence. 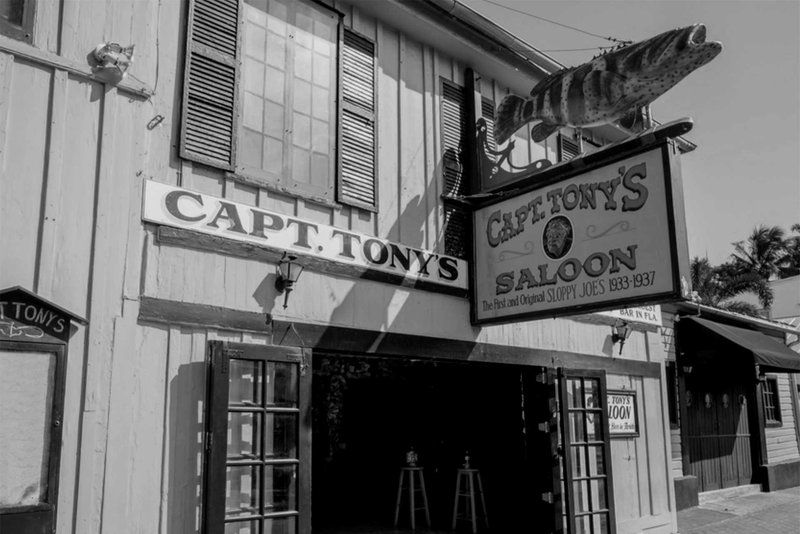 One of the most popular watering holes in Key West, Captain Tony’s Saloon has a long history as many different things. It was a speakeasy during prohibition, a cigar factory, a wireless telegraph station and the city morgue. Throughout its past many tragedies occurred and could possibly explain the hauntings here – but while nobody knows for sure why, many are convinced of the existence of paranormal beings lurking in the bar. A treacherous hurricane caused bodies to wash out into the street during the building’s morgue phase, one of which was later buried in the walls of the building along with holy water by the local Bahamians. The bones and skeletal remains of several people were found inside the walls when renovations were being done years later. A woman reportedly killed her child in the bathroom after catching her husband drunk during Captain Tony’s speakeasy days. The tree that grows through the roof of the building was at one time the sight of town hangings; one of the hanged was a woman who was caught wearing a blue dress covered in blood after killing her family. For many years and still today, guests to the local pub tell accounts of seeing the lady in blue, hearing strange sounds and experiencing an eerie feeling in the ladies restroom. Some even say the first stall was locked when no one was inside and that they heard the door of the stall slam when no one could be seen. Those that come to Captain Tony’s for a cold drink are often treated to a whole other experience – one they cannot forget. Listed on the National Register of Historic Places, the Old Jail was built by Henry Flagler in 1891 and served the county until 1953. During this era, it was not uncommon for the warden and his family to live inside the jail, adjacent to the prisoners. So Sheriff Joe Perry and his family were also residents within the building, in addition to around 60 prisoners. Visitors to the Old Jail have a chance to walk through the men and women’s cells, see actual weapons that were used in crimes and tour through the execution gallows. The experience is often a frightening one – especially for those who are easily caught off guard by unexpected events. Many have died and suffered with diseases within these walls and it is believed that their spirits are still lingering. The 6′ 8″, 300 pound Sheriff has been seen and heard; strange smells, heavy footsteps, disembodied moaning, laughing, jangling chains, even the sounds of dogs barking have all been reported. 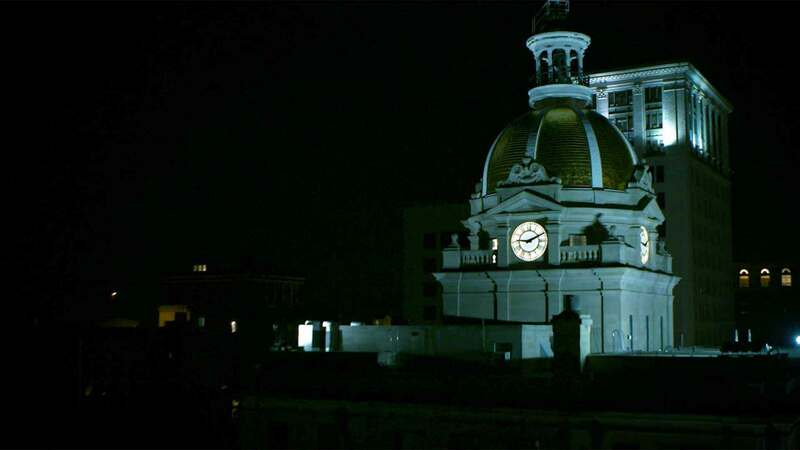 The Old Jail is so abundant with supernatural activity that it has been investigated by various paranormal professionals and, because of their findings, is deemed a certified haunted building and is listed in the National Directory of Haunted Places. 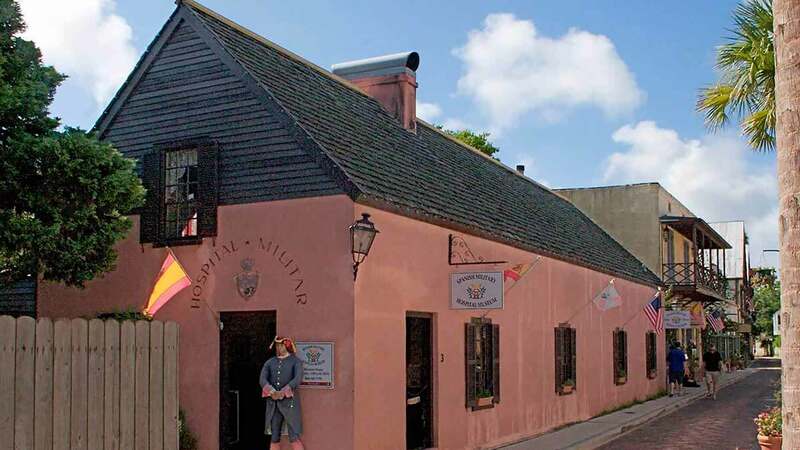 While the original building that housed the Spanish Military Hospital was torn down and rebuilt in 1821, the hauntings that have taken place throughout its history have continued through the years. When the city began replacing the water lines of the building a gruesome, discovery was made: Thousands of human bones. The truth was that the hospital was built atop an Indian burial ground and that the spirits of the dead were tormenting all who came within the walls of the building. But that is just the beginning of what many believe is a hotbed of ghostly encounters. Because the hospital treated many sick, diseased and horribly injured patients throughout its history and those that died and suffered are still here, longing to be freed. From the painful screams of the amputees to the cries of the dying, every room inside the building is said to be haunted. Objects, including hospital beds, seem to move by themselves, doors open and close on their own, misty apparitions appear and disappear, the air becomes dense and cold in certain areas and a sense of despair often fills the hearts of those visiting. It was 1909 when a triple murder took place at the Gribble House in Savannah. It was reported as one of the most diabolical crimes in the city and was a gruesome discovery for the police when they arrived on the scene. Today, many believe that the tortured souls of the dead still linger here, unable to move on to the other side. Numerous paranormal crews have been sent out to investigate this historic site and what they have experienced has been reported as astounding evidence of supernatural activity. Vivid light anomalies, disembodied voices and more have been witnessed. The eerie sensation that someone is touching you, pushing you or watching you is also a common occurrence. Glowing orbs and flashes of light have also been reported. Built in 1892 as a family home for William Kehoe, his wife and their 10 children, the Kehoe house is shrouded in mystery and tragedy. Many of the spirits that are said to be living in this grand mansion are that of children and experts say they are most likely those of the Kehoe children, several of which died inside the house. The first to die in the home were the Kehoe’s twin boys who were playing in a chimney, got trapped and subsequently died. While the chimney was reportedly boarded up after, it is believed that the poor children are still there, perhaps hoping to be freed. 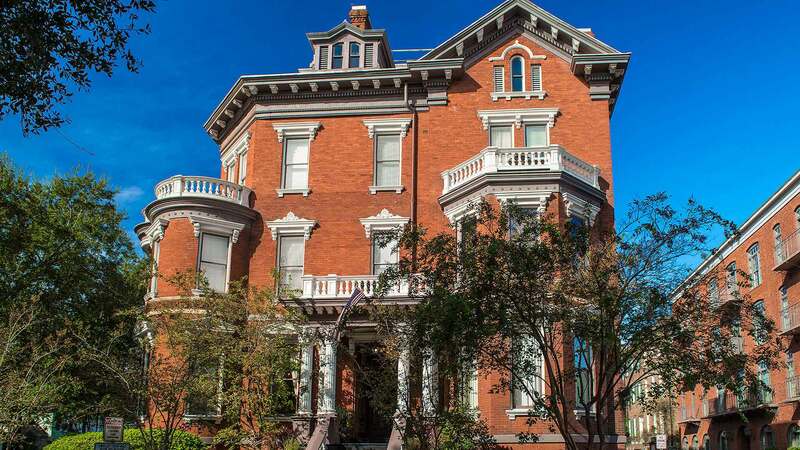 Guests to the Kehoe House, which is now a lovely bed and breakfast, report hearing the sounds of children laughing, running and playing in the hallways – although there are no children in sight. Other reports revolve around room #203 of the inn where many who’ve stayed there say they saw a child appear at the end of their bed, felt as if someone was kissing their cheek and touching their hand, and that the lights go on and off by themselves. Others feel as if they have seen the ghost of Annie Kehoe inside room #201 and #203; she appears for a moment then quickly disappears. In December of 1903, one of the deadliest fires in US history occurred at Iroquois Theatre in downtown Chicago during a burlesque comedy show starring Eddie Foy. With the Great Chicago Fire still in the minds of Chicagoans, the Iroquois Theatre was built to be fireproof with its many exits and theater curtains made of asbestos. However, it was faulty wiring that started the blaze that led to the deaths of an estimated 600 people. What is now the Oriental Theater is also home to several ghost encounters especially in “Death Alley,” the narrow passageway behind the theater. Paranormal activities have been experienced such as cries and ghostly figures; others have been touched by unseen hands. Other anomalies have been seen in photos, such as shadows and figures when no one else was in sight. 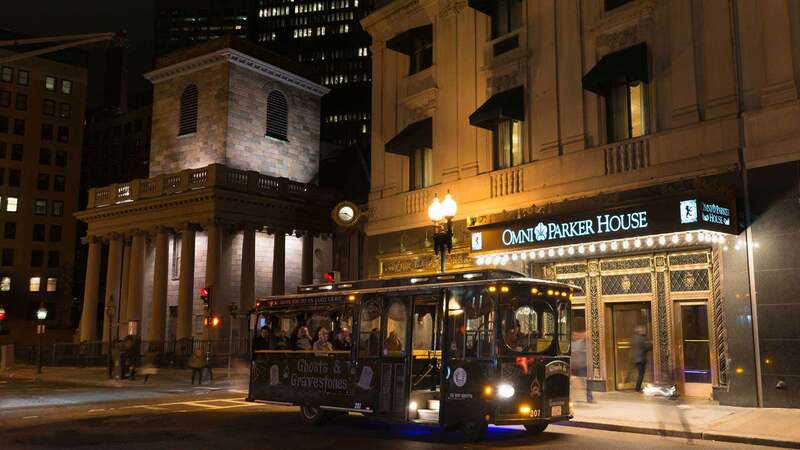 Boston’s most haunted hotel, the Omni Parker House, was built in the mid 1800s and was run by the owner, Harvey D. Parker, until his death in 1884. Known for its prestigious guests and long running Saturday Club which consisted of such literary greats as Charles Dickens, Henry Wadsworth Longfellow, Ralph Waldo Emerson and Oliver Wendell Holmes, Sr., this grand hotel has a rich and fascinating past. Many famous and infamous people were guests throughout its history, including John Wilkes Booth, Jacques Offenbach and Charles Dickens, who actually lived at the hotel for two years. John F. Kennedy announced his candidacy for Congress here and held his bachelor party in the hotel’s press room in 1953. But it’s the hotel’s darker side that has many intrigued today. In fact, room #303, which is walled off, was the basis for Stephen King’s short story, 1408. The most popular ghost is that of Harvey Parker himself, which is not surprising since the man was known for his micromanaging and being a perfectionist; he took it upon himself to ensure no details were ever overlooked when it came to serving the guests. Numerous visitors have spotted Harvey; some see him as a misty apparition, others see him even clearer, mustache and all. The 3rd floor, where Charles Dickens resided, seems to beckon elevators constantly even though no one pushes that button and bellmen have reported seeing orbs of light floating down the 10th floor corridor. Other accounts include the report from a young girl who awoke to find Harvey standing near the foot of her bed, smiling at her. When she smiled back, he disappeared. Shadows, flashes of light, mysterious sensations and the sounds of a rocking chair rocking back and forth all seem to show that Harvey, who loved his hotel so much, has never left. What could be more eerie than a cemetery? How about one that is more than four centuries old? For paranormal enthusiasts, King’s Chapel Burying Ground in Boston is the place to explore when in search of supernatural experiences. This historic cemetery dates back to 1610 and is the final resting place of Puritan Governor John Winthrop and Reverend John Cotton as well as many of the colony’s earliest settlers. 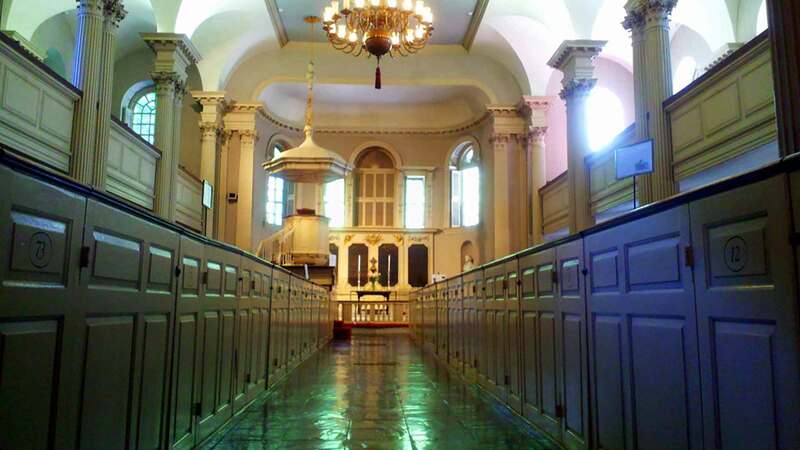 Many who’ve visited King’s Chapel have left spooked, reported seeing strange and inexplicable sights and even heard the voice of a dead pirate named Captain Kidd. Stories that surround the burying ground include that of a woman whose grave was made too short – the carpenter decapitated her and placed her head between her legs so she would fit, a man who was buried alive and the restless spirits of those whose graves were moved by the city wandering around looking for their coffins. Other accounts include missing videos and photographs that were on the visitor’s camera and then mysteriously disappeared when they left the graveyard. Located on George’s Island, this massive fortress was built to defend against enemy invasion in 1833. The fort was used for many purposes during its long history, including imprisoning confederate soldiers. 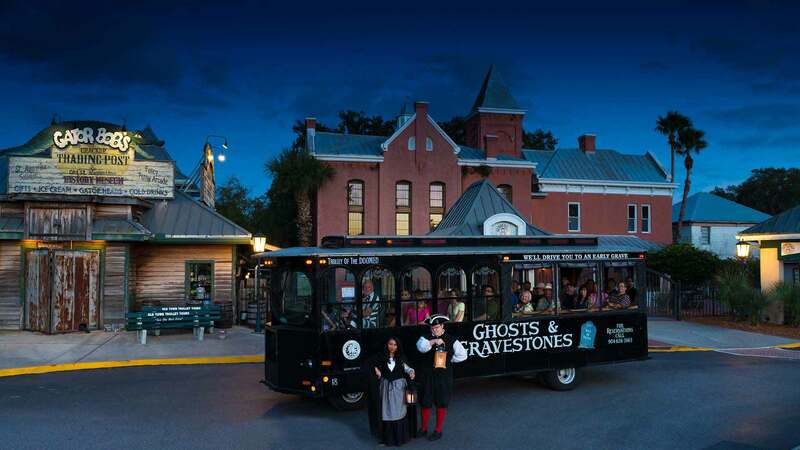 The most popular ghost that has been haunting visitors here is that of the Lady in Black. Her story is tragic and sad, as she broke into the fort to free her husband who was a young confederate soldier being held there. During the rescue attempt, Melanie Lanier accidentally shot and killed her husband while aiming at one of the guards. She was immediately captured and denounced as a spy. Poor Melanie was subsequently sentenced to death and hung within the grounds of the fortress. To this day, people report seeing the apparition of a Lady in Black, believed to be Melanie still dressed in the black cloak she wore to conceal herself while attempting to free her husband. Other eerie events include footsteps in the snow outside the fort when no one is in sight, items moving across tables and the voice of an inconsolable woman within the hallways. Located right near the Alamo in downtown San Antonio, this Victorian-era hotel was built in 1859 and is one of the oldest hotels in Texas. It is also widely known as the most haunted hotel in Texas with a reported 32 ghosts. President Teddy Roosevelt is the most famous of them all. It was here at this very hotel where he would persuade bar patrons to join his Rough Riders in battle during the Spanish American War. His apparition has been seen many times having a drink at the bar. Another notable specter is Captain Richard King, owner of The King Ranch, one of the largest ranches in the world. He would stay at the Menger Hotel in his own personal suite for long periods of time and until his death. His ghost has been seen numerous times entering and exiting his suite, now named “King Ranch Room,” and roaming about the hallways. Another apparition that has been seen many times is Sallie White, a maid that worked at the hotel. After arguing with her husband one night, the following day while at work he came in and brutally attacked her. She passed away in the hotel two days later after suffering severe injuries. Sallie is often seen strolling around on the third floor with her uniform on carrying towels for guests as if she’s working a normal day.